Dual Plate Wafer Check Valves (equivalents of Techno™ Check Valve 5050, 5051, & 5053) were originally introduced in the late 1950s and quickly became the check valves of choice for many piping engineers because of their proven reliability and low pressure drops. They have become the standard for process and project engineers worldwide and are used extensively in Power Plants, Refineries, Chemical Plants, Wastewater Treatment Plants and Pulp & Paper Mills. 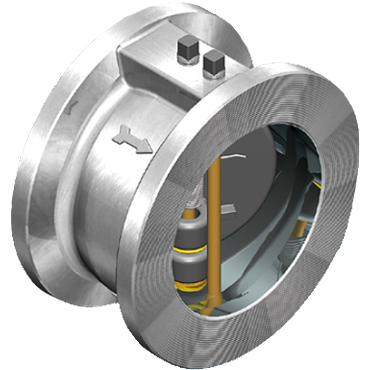 Our dual plate check valves conform to all industry standards. API 594 dictates valve dimensions, including wall thickness, face-to-face dimensions and OD, so valves can replace any make of ANSI Dual Plate Water Check Valve. 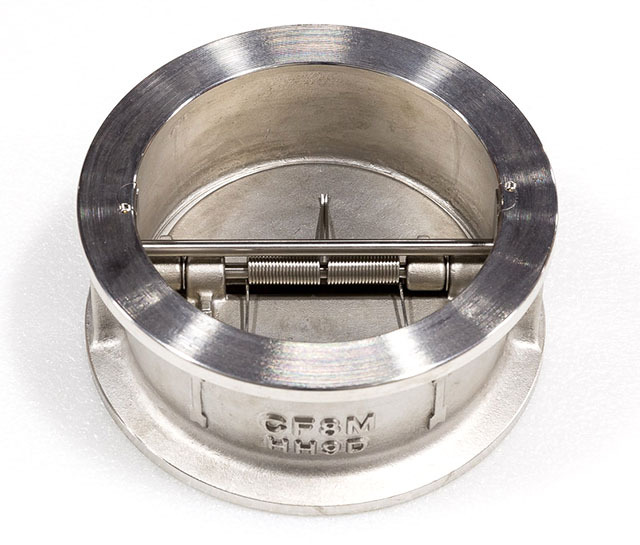 Our Dual Plate Wafer Check Valves are available in sizes up to 60" in Carbon Steel, 316 Stainless Steel and Ductile Iron and in Classes 125, 150, 300 and 600. Available elastomers include Buna N, EPDM, Viton, Metal and 316SS API Trim 10. Valve internal components can be selected to fit your exact application requirements. 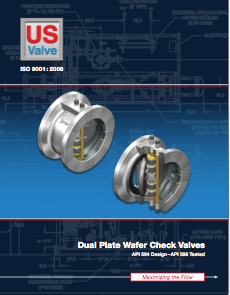 Every dual plate wafer check valve we ship is tested to API 598 and meets API/ANSI Specifications. Our facilities are kept neat, clean and organized, with attention to detail that make the difference in the quality of dual plate check valve manufacturing. We are a dual plate check valve supplier that maintains an extensive inventory of valves, parts and components in a wide variety of materials so we can respond to your needs quickly. Engineering data, including available materials, dimensions, exploded view, part numbers and descriptions, standard models, valve Cv, pressure loss curves, and other information on dual plate wafer check valves is available in our brochure.